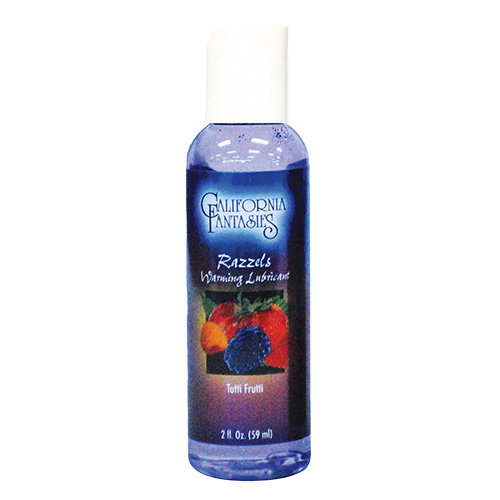 Razzels 3–in-1 Flavored Warming Lubricant is the best flavored warming lubricant on the market. Sugar-free, with no bitter aftertaste. 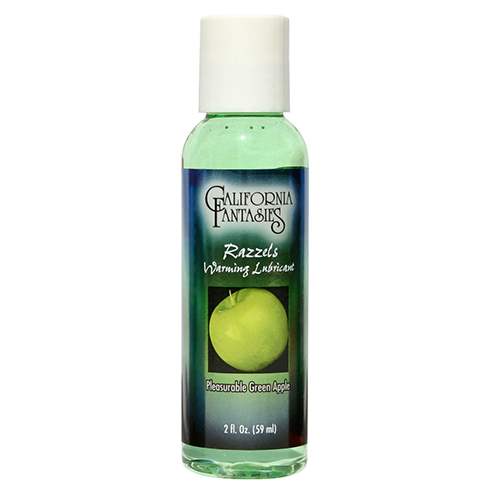 Experience the luscious scents and delicious flavors and as you apply to your partner’s body. 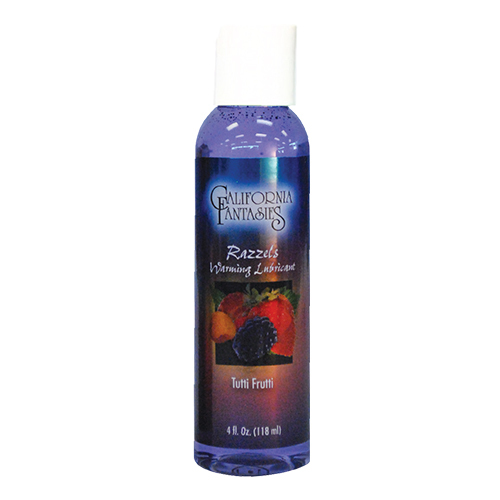 Lightly blow on the skin to excite and heighten your pleasurable experience. 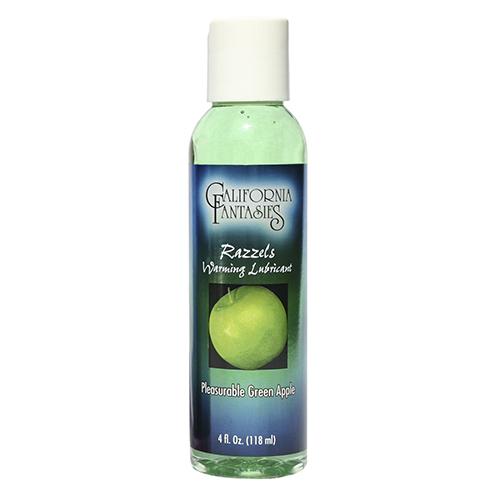 Water-based, latex condom compatible and toy friendly. 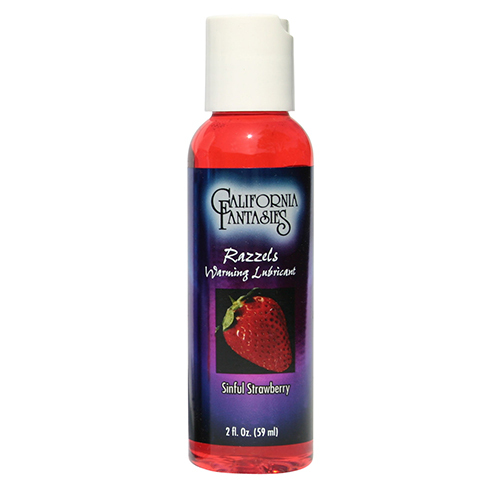 Flavored Razzels sensual lubricants are proudly formulated with high grade body-safe ingredients and manufactured in the USA. Available in: 10ml pillow fishbowl, 2.5oz bottle, and 4oz bottle. 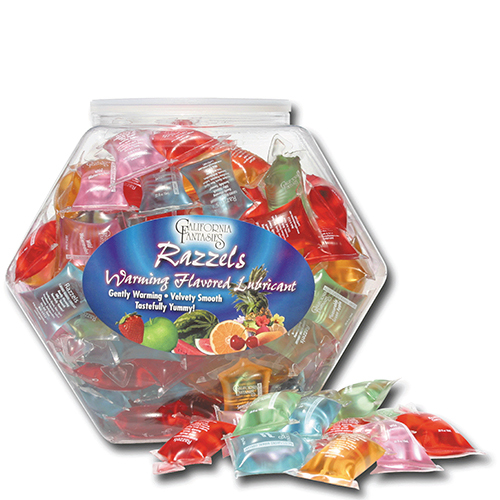 Flavors: Sinful Strawberry, Kissable Cherry, Wild Watermelon, Pleasurable Green Apple, Tutti Frutti, and Tropical Teeze.